Review: A homicide researcher finds himself digging deeper into a case which involves a trained military sniper who shot five random victims. When this film came out it originally wanted to be rated a 12A certificate. Cuts were made because of two scenes of violence. This version of the film reinstates the cuts made for cinema release and is therefore rated 15 for strong violence and one use of strong language. The first reinstated scene is a half-conscious woman being suffocated and the second a man being killed with two vicious blows to the head with a rock. When watching this it does very much feel like a 12A certificate. This film is based on a novel by Lee Child called ‘One Shot’. I have actually not read the book. Lee Child has a little cameo in this film as a police officer. When this film came out a lot of people said that Tom Cruise wasn’t the right person to play the character of Jack Reacher. All of the stunt driving Tom Cruise did himself. 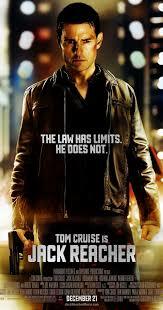 It has just been announced that there is going to be a sequel to this film called Jack Reacher: Never Go Back.